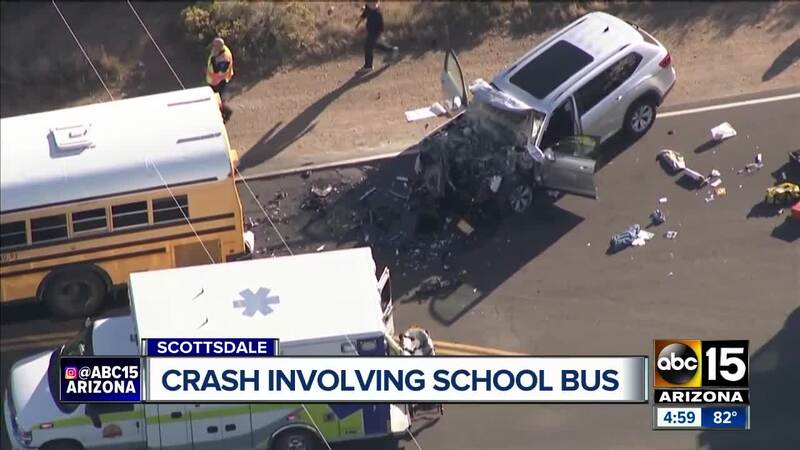 The Cave Creek Unified School District reports four students were taken to the hospital but did not have life-threatening injuries. 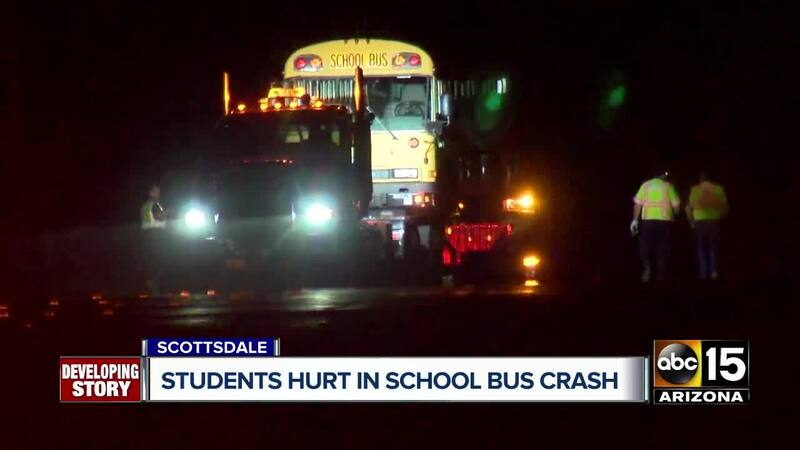 A driver has died from his injuries after he crashed into a school bus in north Scottsdale on Wednesday afternoon. Scottsdale police Sgt. Ben Hoster said the Cave Creek School District bus was stopped around 3:15 p.m. on Rio Verde Drive near 136th Street preparing to unload students, when an SUV struck the rear of the bus. The driver, identified as 63-year-old Michael Miller, was transported to a nearby hospital where he later died from his injuries. Around two dozen kids were on the bus at the time of the crash, a Rural Metro fire spokesperson said. According to Hoster, four students on the bus were transported to the hospital with minor injuries. 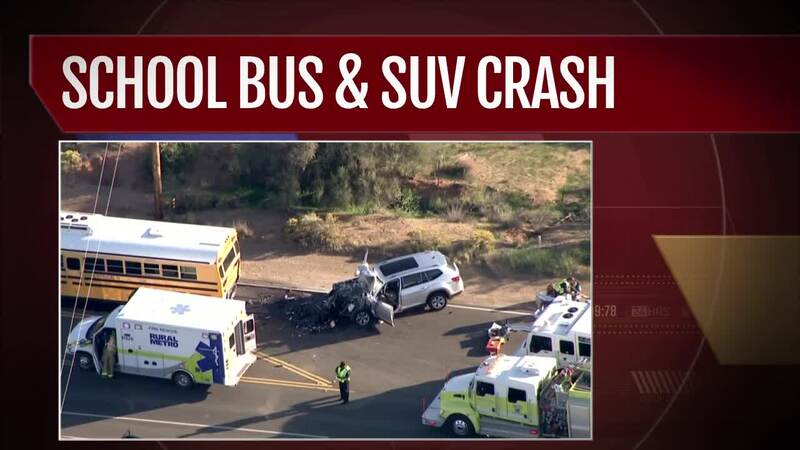 The ages of the children injured weren't released, but the district says the bus was carrying students from Sonoran Trails Middle School and Cactus Shadows High School. Air15 video showed multiple emergency units at the scene, and heavy backups as crews evaluated and transported those with injuries. The crash forced the roadway to be closed for 6.5 hours on Wednesday afternoon as the scene was cleared.